Who else is a little ahead of oneself with the whole house hunting? I get updates from Trulia daily and at this point I know what price range I’m looking to stay in… but the day I will actually be house hunting won’t be for another couple years. However, through my early house hunt [if you can call it that] I’ve realized that in my future home a library of some sorts will have to make its way into the home. I grew up with libraries in the home, so they hold a special place for me. 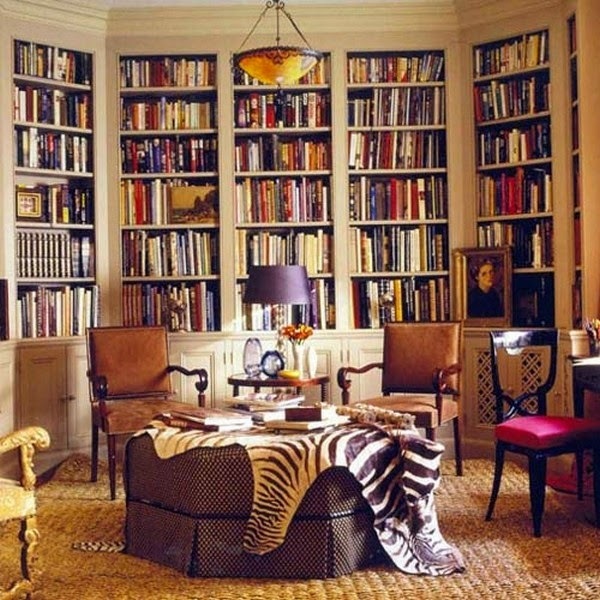 I love the look of an entire room filled with books, floor to ceiling. Am I the only one who can picture how cozy that would be when the snow falls… hot coco anyone? 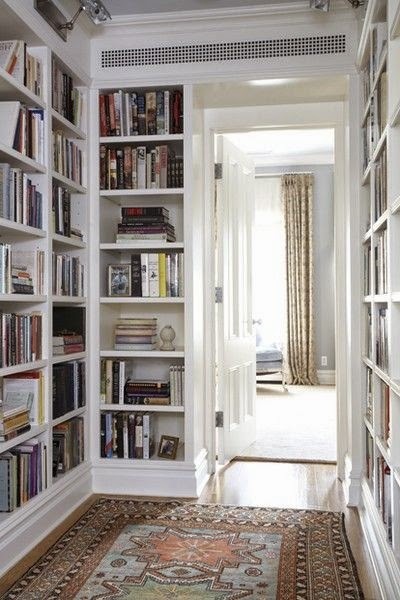 Though an entire room may not be my reality, I do love the idea of turning a hallway or a closet into a library. 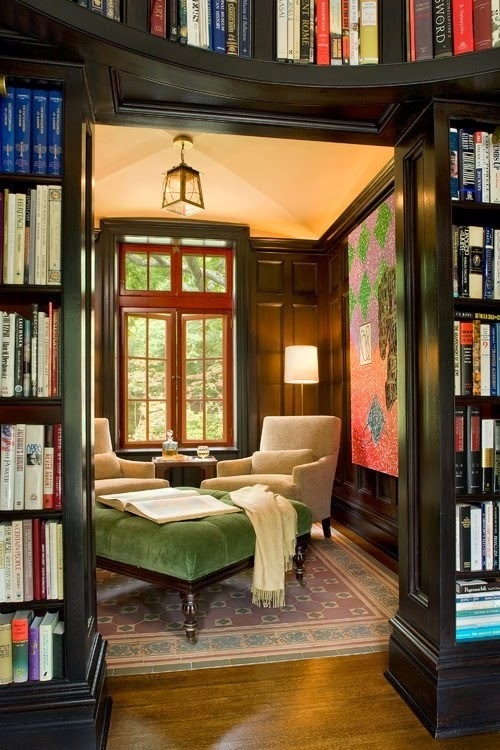 Something about libraries just makes the home seem cozier… just me? 2 comments on "The Home Library"
Those first 2 pictures are amazing. I have a home library at the minute but it's not at all fancy.